Product/service variants may be perceived very differently for different uses by different customers1. We define a value proposition as the promise provided by a product/service offering to a particular segment and a segment as an identifiable group of targetable, potential customers with a similar perception of value for a particular need. For example, a mobile communications company with secure data capability and wide geographical coverage could offer, say, remote smart meter reading to utilities; remote worker workflow to police services, delivery companies or utilities; or tagged offender monitoring to the probation service. The PUV and payoff for these propositions is likely to be very different for each segment. Next, determine the valuable product attributes. In the example this might include geographical coverage, security, reliability, latency and brand. For each possible proposition prepare a matrix plotting the perceived use value of each attribute for the proposition and its competitors. 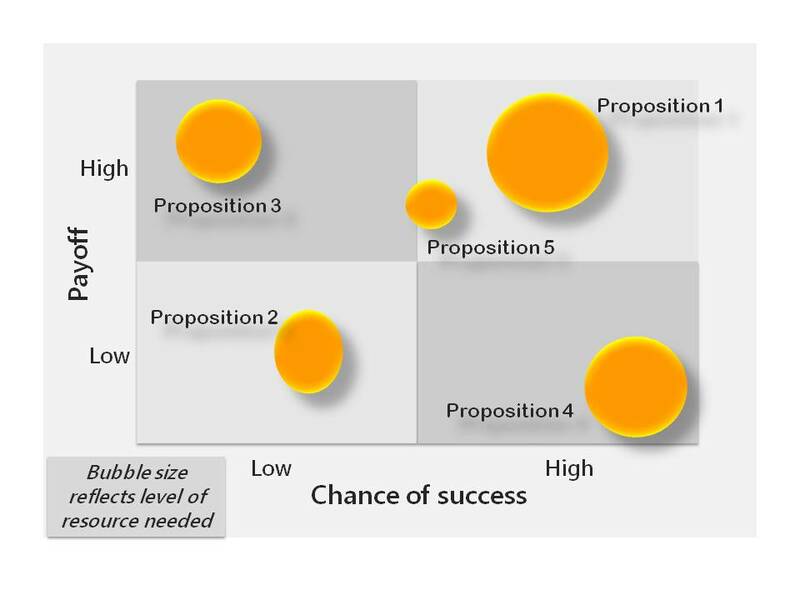 This gives a visual representation of how closely the proposition can meet customers’ needs compared to the alternatives. Estimation using management or industry experts, this is the cheapest. Estimation following customer interviews or focus groups. A quantitative survey of potential customers asking them to rate the possible attribute values e.g. ask them to rate uptime of 99.999%, 99.950%, 99.900% etc. 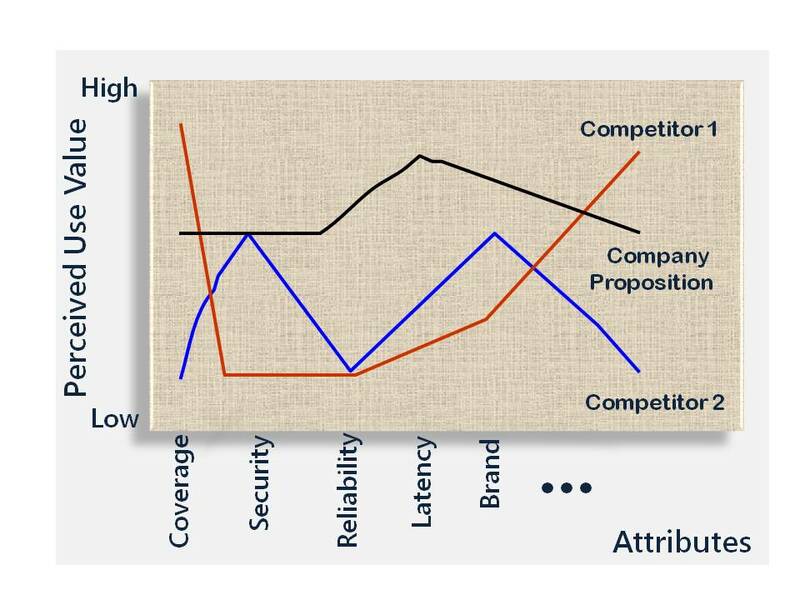 A conjoint analysis survey which asks potential customers to rate alternative bundles of the product/service attributes. This reflects how purchasing decisions are made and it allows the value comparison of different attributes e.g. how much latency would customers trade for how much reliability. It is also usually the best method for forecasting market share. The customer matrices identify the chances of success and the costs are identified by the selected marketing mix. The Opportunity Screen matrices combine these with the payoff of succeeding. 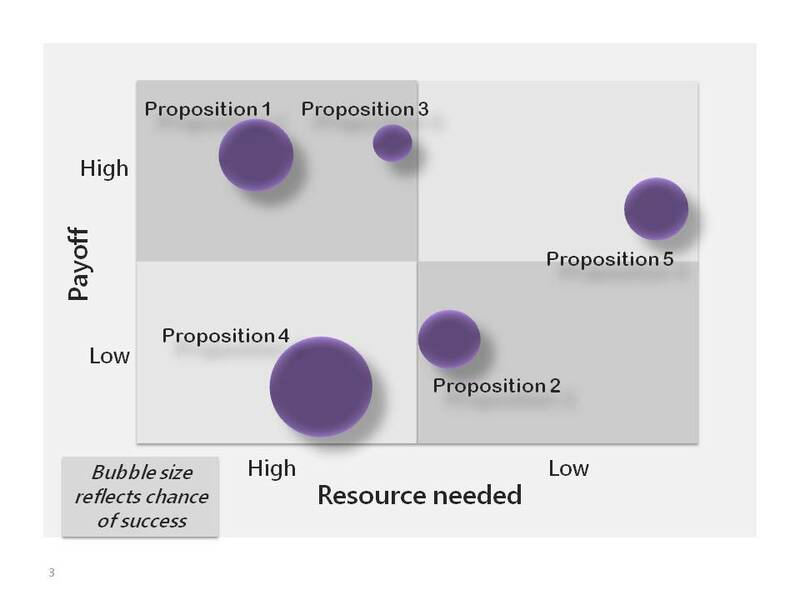 This helps to determine which propositions to pursue. All that is then left is to refine the proposition and implement the programme.